A powerful antioxidant blend, this daily serum protects against environmental damage while promoting a more even skin tone. Improve skin tone and reduce discolorations while defending your skin against environmental damage with Phloretin CF serum. Its powerful antioxidant blend of 2% phloretin (an antioxidant derived from apple trees), 10% vitamin C (l-ascorbic acid), and 0.5% ferulic acid neutralizes free radicals from UVA/UVB, infrared radiation (IRA), and ozone pollution (O3). At the same time, it works to minimize fine lines and uneven skin tone. 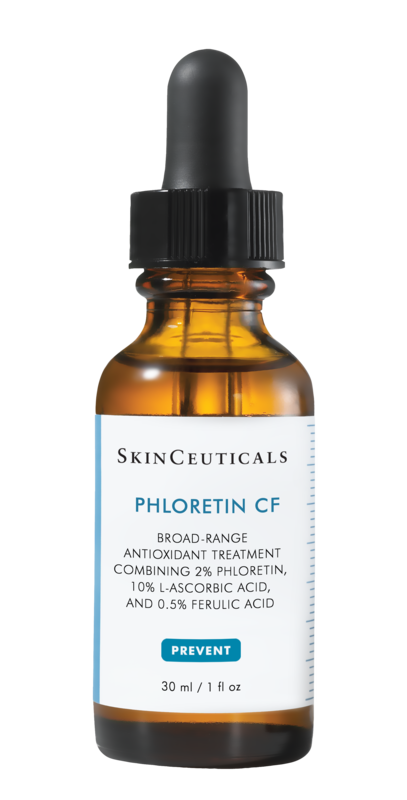 Phloretin CF is a strong line of defense against atmospheric damage for normal, oily, and combination skin.